When it comes to e-readers, Amazon’s Kindles have become so dominant that the brand often gets used interchangeably with the generic term, much like you see with Kleenex for tissues and Frisbees for flying discs. But that doesn’t mean there aren’t viable Kindle alternatives, because for years, Kobo’s e-readers have been lurking in the shadows, often touting more flexibility and better features than Amazon’s ubiquitous devices. 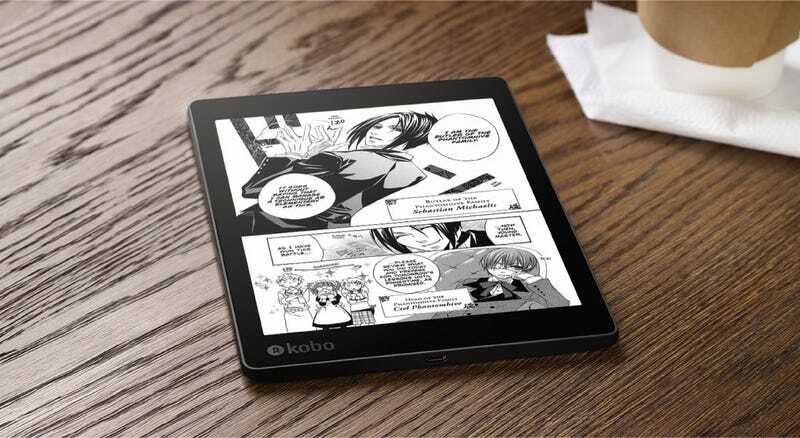 And now, Kobo might have its chance to challenge Kindle in the US, thanks to a partnership between Kobo’s parent company, Japanese retail giant Rakuten, and Walmart, which will become the exclusive retailer of Kobo devices and content in the States. The partnership is part of a larger deal that will also see Walmart launch an online grocery delivery service in Japan sometime in the second half of 2018. Additionally, there will be new co-branded Kobo and Walmart e-reader apps for purchasing content online (both ebooks and audiobooks), with Walmart also offering digital book cards in its stores. The move could be a big step forward for Kobo, as it has often been out ahead of Amazon’s Kindle when it comes to features such as water-resistance, which debuted back on the original Kobo H20 in 2014, years before Amazon added it to the new Kindle Oasis. Kobo’s e-readers are also generally a bit more relaxed than Kindles when it comes to DRM, enabling people to upload their own ebook files to their devices. However, it’s hard to say if that will still be the case following this deal. The partnership between Walmart and Rakuten comes just days after Google started selling audiobooks on the Play Store for the first time, which suddenly has Amazon looking at some serious competition in one of its most entrenched categories. Amazon&apos;s Kindle Is King–Why Would I Buy This Other E-reader?